Harry Potter Fan Zone is an unofficial Harry Potter fan website, launched on 22 December 2003 and designed, created and maintained by Andy McCray (pictured right), a then 14-year-old student from Canberra, Australia. The site has grown from a one-man summer holiday hobby to become one of the largest and most respected Harry Potter fan websites on the Internet. 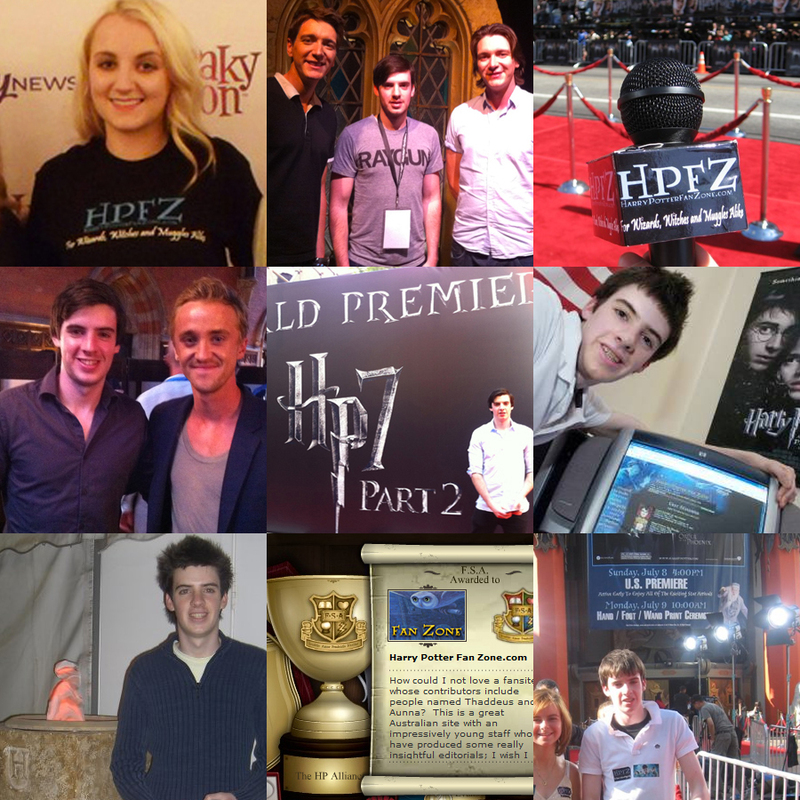 Harry Potter Fan Zone (HPFZ) has provided exclusive coverage of movie premieres, set visits, conferences, and won the J.K. Rowling ‘Fan Site Award’. Harry Potter and the Prisoner of Azkaban world premiere in New York City in May 2004. Harry Potter and the Half-Blood Prince release party in Chicago in July 2005. Harry Potter and the Goblet of Fire press junket in London in October 2005. Harry Potter and the Goblet of Fire premiere in New York City in November 2005. Harry Potter and the Order of the Phoenix press junket, premiere and Hollywood ceremony in Los Angeles in July 2007. Harry Potter and the Deathly Hallows book launch at Dymocks’ flagship store in July 2007. Harry Potter and the Half-Blood Prince set visit in England in January 2008. Harry Potter and the Deathly Hallows set visit in England in March 2010. Harry Potter and the Deathly Hallows: Part 1 world premiere and press junket in London in November 2010. Harry Potter and the Deathly Hallows: Part 1 premiere in New York City in November 2010. Harry Potter and the Deathly Hallows: Part 2 world premiere in London in July 2011. Harry Potter: The Exhibition launch at the Powerhouse Museum in Sydney in November 2011. The site has been featured in the Canberra Times, Sydney Morning Herald, the National Library of Australia, on Wikipedia, in various online publications, and in both The Complete Idiot’s Guide to the World of Harry Potter and Harry Potter: The Story of a Global Business Phenomenon. The site has also won numerous awards, including the prestigious J.K. Rowling ‘Fan Site Award‘.